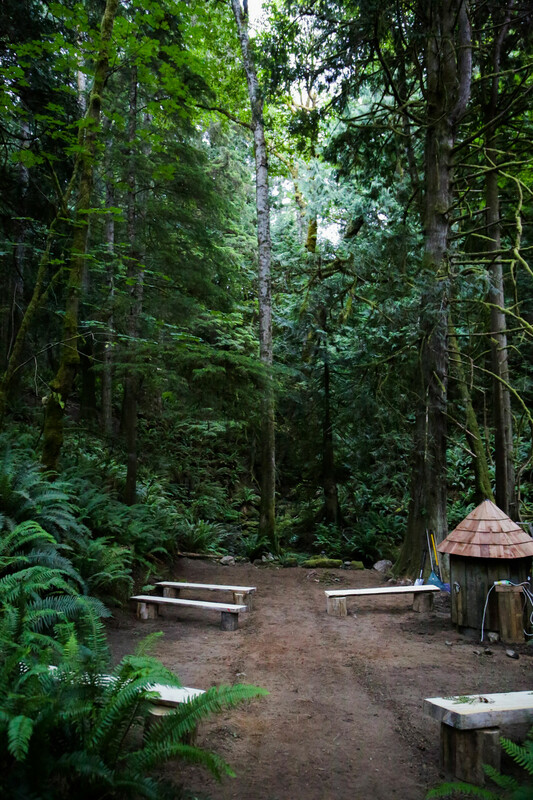 Vancouver Island outdoor forest ceremony site. 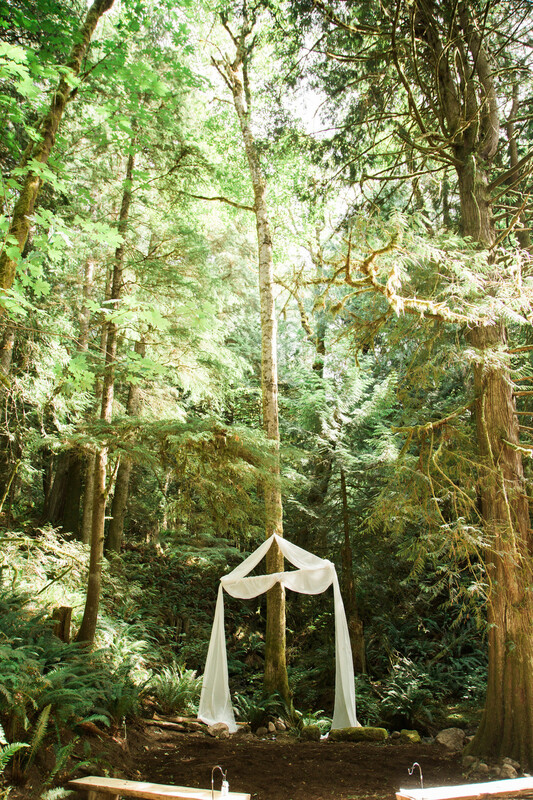 A little update coming into spring about our beautiful little wedding venue in the woods. Vancouver island British Columbia. Sooke BC is an incredible west coast town that boasts beautiful beaches and forests. Check out Christian and Jennifers Wedding By Rivkah Photography. Click here to see Rivkah Photography's blog post all about Jennifer and Christians wedding. Stay tuned for it to be featured in Budget Savvy Brides and Boho Weddings! We had an amazing time hosting this wedding. Jennifer and Christian put so much love and deep thought into this ceremony and we are so happy to share it with you. Stay tuned for more updates and features. Also check out this cake from RUTH AND DEAN! Amazing! First off I would like to say thank you for all your patience. Second all I am sorry we haven't had all the answers yet. We are working away to get a better idea of the capacity of the space and what packages we will be able to offer. Today was a big day for progress. Sarah and Brian were working away along side a man with a excavator to level out the ceremony site and put drainage in along the bottom path. This will make it much easier and safer for those with diverse abilities or lowered mobility. Not to mention better to put benches on. After it was levelled they put everything back as best they could. The green will grow back slowly and bark mulch will be put down for now. Check out the pictures. They make the space look small but for perspective you can fit 6 people on each bench and there is room for a lot more benches. I will try to get a video up at some point for a better idea! Check out that hard work! It still looks really small in photos to me. In real life it is more like a natural cathedral. We are thinking of naming the space Natures Cathedral. Imagine 6 people per bench potentially 6 benches per side. An arch way at the top of the isle. Then Imagine a chandelier and draping from the alter tree in the middle. You can kind of see where the moss and wild pants were growing on the path and we hope to get all the moss back. The little well house is in the progress of a revamp which sadly means its little moss mushroom top is gone too. On the bright side there is water and power down there! So imagine cafe lights ad beautiful night weddings. It is light enough for photos during the day but dark enough to see lights and LED candles glow all day! You can really see how the ferns fill the valley in this one all the way up the creek. Stay tuned for more updates and our first wedding in July. There will be more available viewings during the week after June 17. Thanks for helping us write our love story in the woods. I decided we definitely need a blog! So here is the thing.... We might as well take this journey together right? Im thinking a blog will be a good way to keep everyone updated on what we are doing and where we are going. Currently we have a very small wedding scheduled in July as a trial run. We are accepting those will small ceremonies in mind to come and check out the space and see what you think. Our first wedding will be having a small tent reception on the lawn and we will of course post photos when it happens. We are close to other reception venues but we do LOVE a white tent reception. So far we have just been clearing up down there and "primping" a bit. Soon it will be tractor time and we will level out the first proposed site so we can have the benches and or chairs rest more easily. Don't worry though we are only naturally landscaping so it will still be wild rain forrest! This is just before and after of the weeding and raking lots more to do! Sorry I didn't get better photos! Next time. If you have a good imagination you can see how lovely it will be. Also its bigger than it looks!